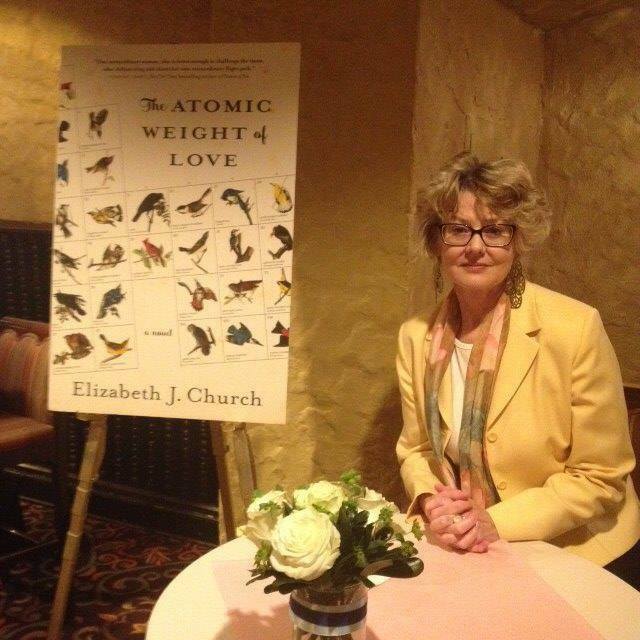 I'm always partial to novels that come from my beloved publisher, Algonquin, and this one, Elizabeth Church's The Atomic Weight of Love, had me reading into the wee hours of the morning. Brilliantly written, incredibly alive, Elizabeth has captured a woman whose love of science helped her find herself. It's really a genius novel. 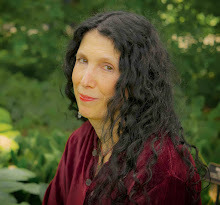 Elizabeth practiced law for more than thirty years and her short story "Skin Deep" won first prize in the 2001 fiction contest from Literal latte. She has amazing taste in earrings, too, by the way, and I'm deliriously happy to have her here. Thank you, Elizabeth! I know (according to Stephen King), you aren’t supposed to ask writers where a book sparks, but I also know, that as a writer, that there usually is an answer, and it usually has to do with what is haunting the writer at the moment. What sparked your novel? A middle-aged contemplation of my history, that of my mother, that of the women I knew growing up in Los Alamos. Somewhat to my surprise, the book turned out to be a way for me better to understand my mother, our differences -- what led us to pitched battle for so many years and what ultimately let us find peace with each other. Meridian forms a bridge between our two generations. What was the research like? What surprised you? And did the research make you a bird watcher, or were you one already? I was already a bird watcher (more of behavior than species identification), a person steeped in the sciences, a person who has a nearly constant internal dialogue that goes something like: "Hunh. I wonder why X. And how does THAT work, function, come into being? I wish I knew more physics/biology/chemistry." Once I decided to focus on crows, I devoured several books on the topic -- and relished learning all sorts of obscure facts, in particular about their phenomenal intelligence. These birds can recognize individual faces -- and pass that knowledge on to their young! Writing about the landscape closest to my heart, that of northern New Mexico, led me to move back to Los Alamos after an absence of over forty years. I wanted to return while I could still physically manage to hike the trails through the mountains, along beautiful cliffs, and amongst wildlife (including cougars!). My decision to move back to Los Alamos after such a long hiatus came as a bit of a surprise. 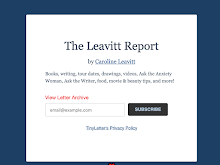 The crow journals change, as Meri changes, and become more personal and more intimate. The more she opens up, the more she suffers--and the more it’s worth it. Can you talk about this? What an entirely lovely, astute question! Over time, Meridian allows herself to become more complete, to permit her emotions, her spirit, to emerge more fully. Her intellect had always overpowered the rest of her being, tamping down her artistic side (her painting), and her sensitivity. A wise friend once told me that we only grow through pain -- never through joy or simple contentment. Pain teaches us what we value, and it can teach us who we are (or strive to be). I believe that we build resilience, true strength, only through suffering. And yes, I set about to make Meridian suffer. I set about to find out what it would take to make her move, to take charge of her life. There’s a lot of discussion today about whether women can really “have it all.” Certainly, they couldn’t in Meri’s time, during the 50s and 60s, when women gave up their dreams so their husbands could live theirs. Yet, in the end, Meri crafts an enviable life, but there still is a cost to her. Do you think it will ever be possible to get beyond that cost? I don't think we get beyond the incalculable costs of unconscious self-abnegation, martyrdom or self sacrifice (no matter how greatly those attributes -- particularly in women -- might be applauded by society). What Meridian does, what we all have to do, is take the clay remaining and fashion it into something beautiful, meaningful. In that way we conquer, we "win" -- even if we still carry a history of loss. I also think we owe it to younger generations of women to remind them of progress made, and the need for constant vigilance to prevent backsliding, the insidious creep of misogyny. Let's take a moment and ponder the current election atmosphere in this country, shall we? What kind of writer are you? Do you map everything out or just follow your computer? I have to do some mapping before I begin, or I wouldn't begin -- wouldn't know where to begin. I let the character(s) begin forming in my head for weeks and months ahead of time. Once I begin writing, I am so deeply, thoroughly living the characters that they take on a life of their own -- some are born without my say-so; some act in ways I would not have predicted. The characters largely determine action and plot, and I may have to let go of my initial plans for the story line. When I'm writing well, I have very little control over what's going on. Hours pass in a flash. I am a mere conduit, a mere stenographer. So much of this book is really about the moral choices we make--and the cost of those choices. The scientists at Los Alamos thought they were making the world safer, while the Viet Nam war protestors marked them as warmongers. Do you think we can ever know the ramifications of a historical moment while it is happening? I think, sometimes, we can have a sense of ramifications at the time an event takes place. Certainly, Oppenheimer and others knew the bomb would change the world in profound ways. Could they predict all of the ways the bomb might change the world? Could they begin to foretell how it would populate our dreams and alter our very psyches? No. But could they anticipate changes in balances of power, the dire need to keep the knowledge they'd amassed from politicians' absolute control, to prevent misuse of the formidable power of atomic warfare? Yes. After all, the world had just seen what Hitler and his ilk wrought; it had seen survivors of the Bataan Death March. With respect to questions of morality implied in your query -- I have come to believe that context is an all-powerful determinative factor. For me, a solid knowledge of the context in which the bomb was created and used is essential when interpreting its morality. I loved how each chapter begins with fascinating facts about birds. Did you always know that that would be the structure? And what did you learn about crows that fascinated you the most? Long before I began to conceive of the novel, to have Meridian living in my head, a friend sent me a list of bird groupings. I was entranced by the sheer poetry of the "scientific" names for bird groups. I kept that list for years -- thinking how wonderful it would be to write a book using those bird group names as chapter titles. And so, they long preceded the nascent stirrings of characters, setting, and plot. They became even more charming when I began to decide which bird group might best tie into the events of a given chapter. The crow research that most surprised me was that young crows have blue eyes that change to brown. How I'd love to spot a blue-eyed crow! My next novel. Feathers of another sort -- those worn by Vegas showgirls in the Sixties. Dean Martin. Elvis. Tom Jones, Dinah Shore, and Sammy Davis Junior. How the illusions created by Vegas contrasted with the real world at the time -- the Civil Rights Movement, Vietnam, hippies. And how events of a childhood might so thoroughly warp, twist, tangle, and mangle both being and perception, that finding love is rendered next to impossible. Two things: How grateful am I to you for your generous support, how many of us benefit from the leadership you provide? The answer is IMMENSELY GRATEFUL. Secondly, I suppose you didn't ask me if I could have written this book several decades ago, had I summoned the fortitude to make the sacrifices necessary to change my life so that I could write. Were you to ask me that question, I would have to say that I could not have written this book at any point prior to when I did actually sit down to write it (age 56). I hadn't sufficient wisdom.